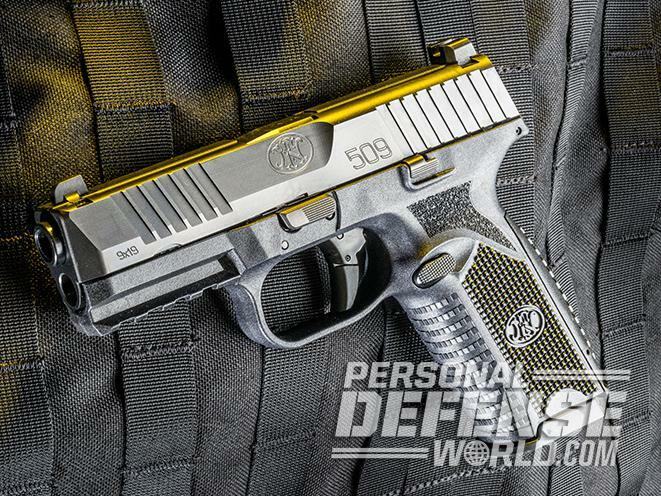 A couple of years ago, FN America introduced the 509 pistol, which the company designed for the U.S. Army’s Modular Handgun System. It didn’t become the Army’s handgun of choice, but it still impressed many shooters. 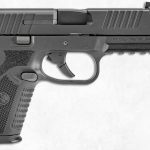 Now, the company is expanding the line with the FN 509 Midsize. This new 9mm pistol comes with the same 4-inch barrel as the original, but on a smaller frame. This combination offers full-size performance in a more concealable package. Other features shooters will like include combat luminescent sights, loaded chamber indicator, front and rear cocking serrations and the quality of FN. The new Midsize also features upgraded sculpting around the magazine release for easier activation, a flatter-faced trigger for a more controlled trigger press and improved slide stop lever and texturing. Additionally, the 509 Midsize comes with with either two 10- or 15-round magazines, but it can also use previous 509 magazines with the use of a grip sleeve. Even better, the 509 Midsize also comes with full ambidextrous controls, recessed target crown and a polished chamber and feed ramp. Soldiers might not soon carry the 509, but civilians still have that option. And now shooters have the option of carrying a more easily concealed 9mm pistol that still contains a full-length barrel. This means the new 509 has the the same sight radius as the original, which should provide better accuracy for most shooters. Trigger Pull: 5.5 to 7.5 lbs. For more information about the FN 509 Midsize pistol, please visit fnamerica.com. 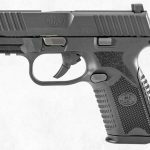 The post The New FN 509 Midsize Pistol Provides More Choices to Shooters appeared first on Personal Defense World.